You're busy. We get it. Our candidate Toolkit gives you the edge you need to find the board opportunity that's right for you. At Boardspan, we work exclusively with Boards and know that board seats offer invaluable professional development, the opportunity to share your expertise or give back, and build new relationships. Traditional recruiters simply aren’t in the business of helping candidates and “job boards” simply don’t have the right focus. Approximately 85% of board searches are conducted informally and without the use of recruiters. That’s why Boardspan created the Board Candidate Toolkit. 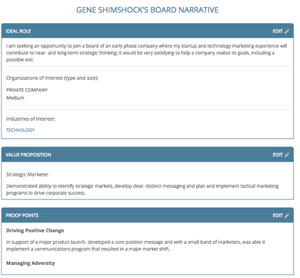 Utilizing the power of our board-focused Candidate Database, the Board Candidate Toolkit is a simple, yet effective 4-step process that helps you prepare a strong profile, create a good “board pitch”, promote your candidacy, and manage your network. Promote your candidacy to our growing list of companies seeking candidates. Using the Toolkit automatically add you to our Candidate Database. 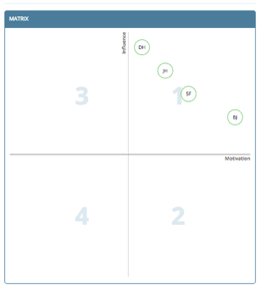 Gain self-awareness using our individual assessment tools. ​Creating your profile enters you into the Boardspan Candidate Database. 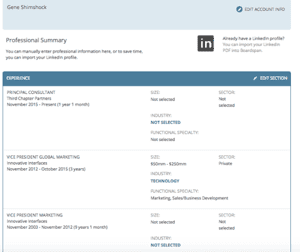 Convert your LinkedIn (or follow a few simple steps) to create a real board resume and jump-start your process. 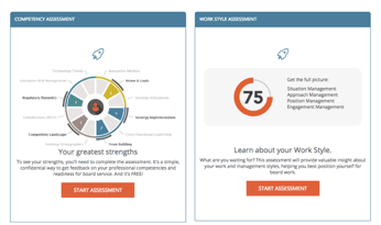 Complete Boardspan's Individual competencies and workstyles assessments in minutes and gain the self-knowledge to confidently create your Board Pitch. ​Create a shareable elevator pitch that will get a board's attention and give you the confidence to start the conversation. ​Activate your informal and personal network to help you get on a board. Take the first step to create a board profile.